Just 1375 days until the opening ceremony of the 2020 Olympic Games in Tokyo, Japan. 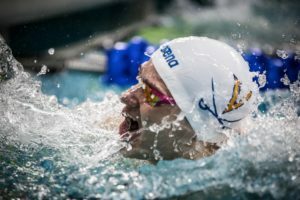 But, you can already familiarize yourself with the unique, yet functional venue layout for the Games, which organizers say will deliver ‘beyond amazing’ action. 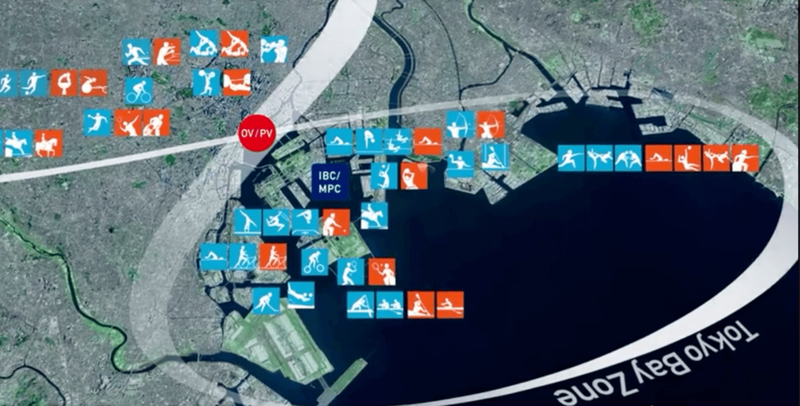 The video provided by Tokyo 2020 gives us a high-level tour of organizers’ master plan, which involves venues being split between two zones. The ‘Heritage Zone’, includes several existing or ‘legacy’ venues that are being re-used again for the 2020 event. For instance, the equestrian competition will be held in the same venue utilized back in the 1964 Tokyo-hosted Games. 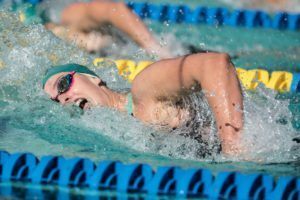 The ‘Tokyo Bay Zone’ is the more ‘futuristic’ vision, which hosts all of the aquatic sports including pool swimming, open water swimming, diving, synchronized swimming and water polo. 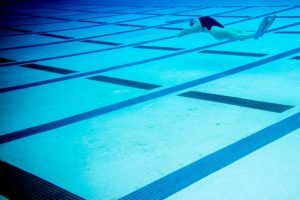 The latter is set to take place at the existing Tatsumi International Swimming Center, while the former disciplines are planned for the new, to-be-built Olympic Aquatics Center. As seen in the models below, the venues’ positioning take on an ‘infinity’ symbol, highlighted by the Athletes’ Village located in the center. Organizers say most venues rest within 30 minutes of the Athletes’ Village. Get inspired by the themes of tradition, innovation and excitement that organizers are confident the Tokyo 2020 experience will bring to athletes and spectators from around the world.